The Tefcold RF505 is a robust, single door fridge, ideal for the busy catering industry and high volume turnover of stock. 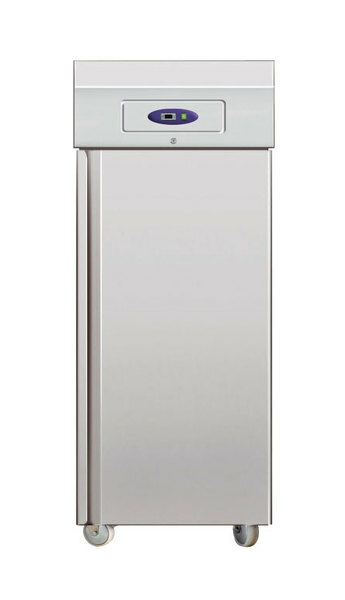 Having stainless steel interior as well as exterior, be sure that this solid fridge is easy to keep clean. With fully automatic operation and being electronically controlled, this reliable fridge by Tefcold is easily maintained. Also having a fitted lock for security, be sure that your goods are kept secure.